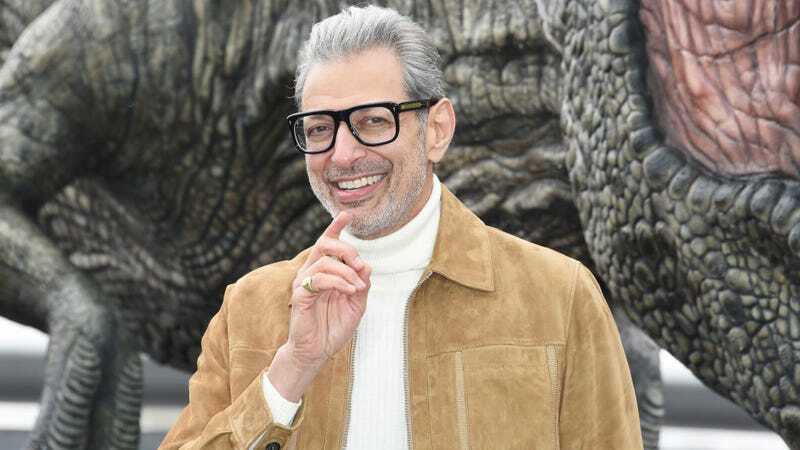 In the midst of promoting multiple summer movies, including Jurassic World: Fallen Kingdom and Hotel Artemis, Jeff Goldblum has announced a different artistic venture. The Thor: Ragnarok actor will release his first jazz album as part of Decca Records Label Group, Variety reports. Goldblum says he’s “so happy to be in cahoots with the wonderful people at Decca, one of the coolest and most prestigious labels of all time,” whose artists include Billie Holiday, Louis Armstrong, Peggy Lee, and Duke Ellington. Goldblum’s played the piano since he was kid, and already has his own jazz band, The Mildred Snitzer Orchestra, so stepping into the recording studio won’t be much of a stretch (though you do have to wonder where he’ll, uh, find the time). There’s no word on a title or release date, so for now, we’ll leave you with this clip of Goldblum showing off on The Larry Sanders Show.